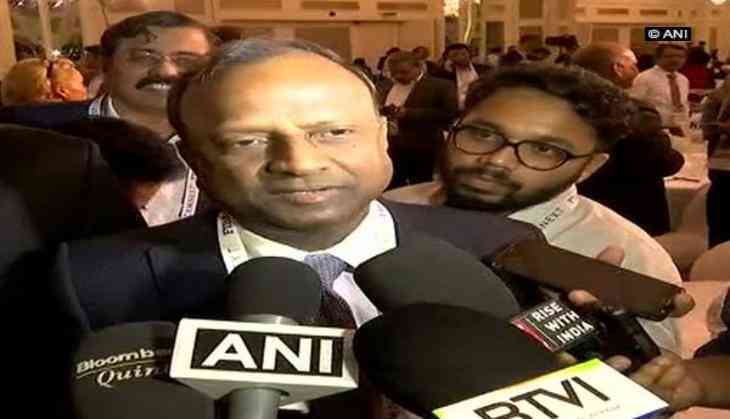 With the completion of a year of the Centre's demonetisation drive round the corner, State Bank of India (SBI) Chairman Rajnish Kumar claimed that any negative impact that it caused is now 'behind us'. Speaking to reporters on the sidelines of FIBAC 2017, which was organised by the Federation of Indian Chambers of Commerce and Industry (FICCI) here, Kumar said 'notebandi' has been a positive move for the banking sector. "The two major economic reforms, namely demonetisation and Goods and Services Tax (GST), have given a big boost to digital transactions. There has been an increase in the tax base, with more money coming into savings accounts. Slowly, the mindset is also changing. Any such reform has a long-term impact and we must be a little patient. Following the impact of the two reforms, there will be improvement," he said. While sectors like renewable energy, steel and infrastructure have shown significant improvement, Kumar highlighted that some sectors such as the power sector still need vast improvement. Further, he said the process of NPA resolution is on track, and various sectors will be submitting their final plan to banks. On November 8 last year, the Centre had announced to demonetise 500- and 1000-rupee banknotes. The government also introduced new Rs.200, Rs. 500 and Rs. 2000 notes. The government had then said the action would curtail the shadow economy and crack down on the use of illicit and counterfeit cash to fund illegal activity and terrorism. While the Opposition decided to observe November 8 - the first anniversary of demonetisation - as ''black day", the Bharatiya Janata Party (BJP) will commemorate this as an "anti-black money day"